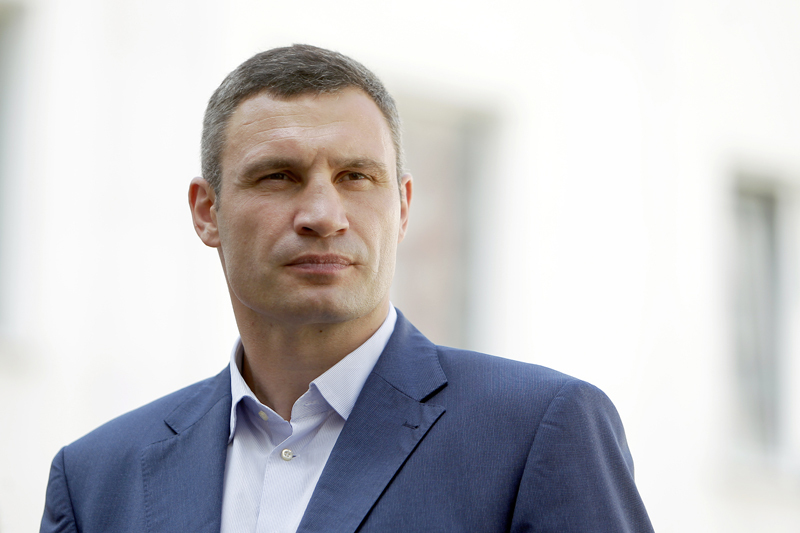 Vitali Volodymyrovych Klitschko – the current mayor of Kiev and a three-time heavyweight world boxing champion graciously agreed to give an interview for this inaugural issue of Kiev Check-in as below. QVitali Volodymyrovych, in your program you repeatedly underline the importance of Kiev’s transformation into a European city with comfortable living standards. Tell us what progress has been made? AKiev has huge potential as a tourist destination. Only last year, 1.5 million foreign tourists visited Kiev, and we have every chance to improve this figure by a factor of 10 in the future. Our task is to make Kiev a comfortable city for locals and attractive for tourists. To achieve this, we are implementing various important projects. For example, we are planning to introduce new regulation of the street trade and a new concept of arrangement of outdoor advertising as well as restoring architectural landmarks and creating new city attractions, which would be interesting for tourists and could become the capital’s calling cards. You will not see elsewhere in Europe as many street stands as we have in Kiev. They spoil the city’s appearance and often are located without official permission. And my opinion remains unchanged: trade has to develop, but not at the cost of the safety or comfort of Kiev’s citizens. The same applies to advertising in the streets – we have to set outdoor advertising rules and give all market players the same rules of game. These are our current tasks. Additionally, we are actively developing green zones in the city. I always said that Kiev has to be a city of parks and public gardens. Last year we opened 57 public gardens and parks in the capital; 22 of these are completely new. This year we opened an additional 15 public gardens. At the end of April, we re-opened four fountains in the city center after their reconstruction – in Independence Square, Khreshchatyk Street and Velyka Vasylkivska Street. Next year we are planning to repair two more complexes in Independence Square. On the Day of Kiev, we opened a repaired fountain complex in the Rusanovka area. Next spring we are going to start the last, third reconstruction stage. Also we have opened a light and music fountain in the Lysenko public garden, located close to the Opera Theater, which was out of use for 15 years! We principally changed the format of celebration of New Year holidays: for three years already in Sofiyska and Mykhailivska square, we have organized a Christmas market with such integral features as entertainments, a concert program of music bands, delicious street food and numerous Christmas souvenirs. In my opinion, this is a good “magnet” for tourists. QWhat are the results of the project on formation of the innovative “Kiev Smart city” and e-government implementation, and the next steps for the project’s realization? AFor us, Smart City first of all means prompt and technology-efficient governance and sustainment of the city, safety and comfort of local citizens, efficient interaction with businesses, and talent in governmental bodies. This includes new ideas for optimization and improvement of all the internal processes in the Kiev City Administration. Within the Smart City program, we have already managed to implement a number of initiatives and even more of them are coming soon. Among key projects, I would name open workflow in the Kiev City Administration, electronic budgeting, electronic procurement, a petitions system, notification of citizens through sms and e-mail, implementation of wi-fi in city metro, a map of repair works in the city with planned time of their completion, and also the program “Safe Capital,” according to which, in order to control public order, we will fix video cameras in the public places. Also we have already started to implement “smart stops” and “smart benches,” where you can connect to the Internet or charge your mobile phone. This summer we have held a competition-hackathon of city projects. These startups are aimed to develop the social sphere, help people get around the city safely, improve medical services and others. I hope that some of them will soon be implemented on the city level. QCurrently, we observe the intensive implementation of the project “Kiev authentic.” Tell us about its main idea, achievements and changes that took place in Kiev in 2016. AThis is a large-scale project, as, first of all, these are conceptual changes in the big territory of the city center, to create public spaces. Some of the stages we have already accomplished, and others we are continuing to implement. For example, last year we opened Poshtova square after its reconstruction. Also during public holidays and during events, Sagaydachnogo street is closed for traffic and pedestrians can walk there freely. What is more, in Andiyivskyi Descent we fixed special bollards to limit transfer traffic there. Last summer, as a part of the project “Let’s Do Together” for sponsor’s funds, we made granite stairs around the National Museum of History of Ukraine, which lead to Volodymyrska street. QVitali Volodymyrovych, you have been to many European cities close to Kiev (e.g.,Warsaw, Vilnius), which are tidy and well-ordered. Do you have ideas how to make Kiev a clean city? AWherever I go, I always try to find out the best practises of providing municipal services and facilities to implement them in Kiev. During my recent visit to Berlin, I visited the municipal enterprise, which is in charge of provision of urban amenities in the German capital. Representatives of the enterprise demonstrated their system of installation and servicing of litter containers, which are located underground. The construction is quite simple: big containers are put in wallows, where actually litter can be dropped and remains until municipal service will collect the containers on regular basis. In this case, the only visible parts are nice litter bins with wide access holes, where people can easily throw the litter. In Kiev we will also implement a similar practice and are already on the first stage; before Eurovision, we will make around a hundred such litter bins. QKiev is a city with a rich cultural heritage and ancient history. What is being done to promote Kiev as tourist destination on international level? The best advertising for Kiev is of course a right to host various international events, when lot of visitors come to the city. The closest upcoming events include the international song contest “Eurovision” in 2017, the 2017 IIHF Ice Hockey World Championship Division I Group A and the 2018 UEFA Champions League final. I would say that this is a big honor for us, as the capital is Ukraine’s calling card. Therefore, our key task for now is to do all the necessary things to host these events on the highest level. Preparation for the “Eurovision song contest” has already been launched. I have held a number of meetings where we defined our key priorities and planned what has to be done. Our main goal is that everyone who will visit Kiev during the events – members of official delegations, tourists – feels at home. We have 265 hotels of various categories, so we will not have any difficulties with accommodation for tourists. We will facilitate the territory around the International Exhibition Center (where the Eurovision contest will take place) and will continue to renew city’s infrastructure all around the city. For sure, these improvements require significant funding. However, even after city guests leave, the new infrastructure, new roads, new green zones will remain in our city forever. Among our plans to improve navigation for city guests, we want to renew and fix street pointers and pylons with city maps, extend the network of tourist information centers and launch a telephone help-line for legal and informational support of tourists. In addition, we will update the mobile application for the tourist portal of the city. Also we will arrange river trams, which will be going along the Dnieper river. I think that this will not only unload street traffic, but can become one of the city’s attractions. Additionally, we pay significant attention to the safety of Kiev’s visitors. Therefore, to improve communication, together with the British and American Embassies, we extended obligatory English courses also for customs officials of two city airports, “Zhylyany” and “Boryspil”, for emergency police telephone service 102, and recently for frontline police officers. I do hope that the event will be held without any incident, and if necessary, police will be able to provide quality assistance to tourists. QTell us about your favorite place in Kiev. AThere are several of them. First of all this is Mykola Syadristy Microminiatures Museum in Kiev Pechersk Lavra. The exposition includes unique exhibits that you can see only through a magnifying glass. 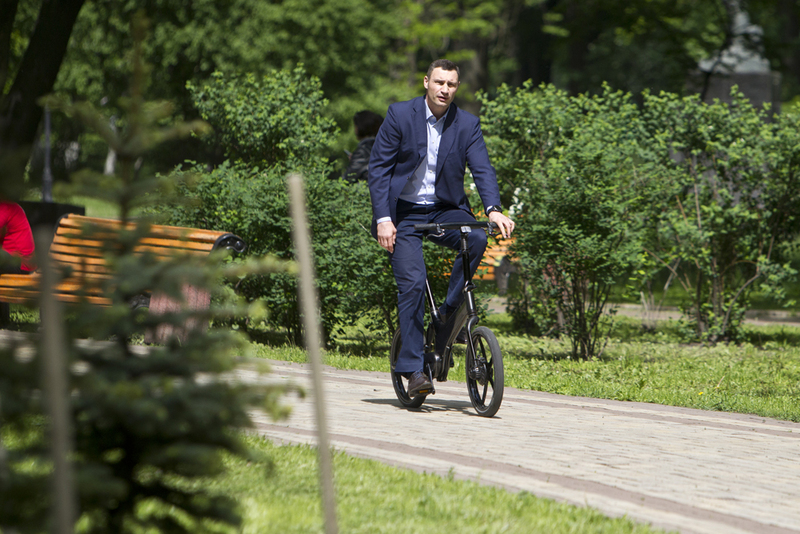 Also I love to ride a bicycle in the mornings in Trukhaniv island. This is a unique place, which you will never find overseas. Just in the center of the city in the Dnieper river – the huge green island! I know Kiev well and often organize excursions for my foreign friends around the capital. As when I was at high school, during my summer holidays I worked as a tourist guide for the youth tourism bureau “Suputnik” and showed our city to school pupils, who came to visit Kiev.